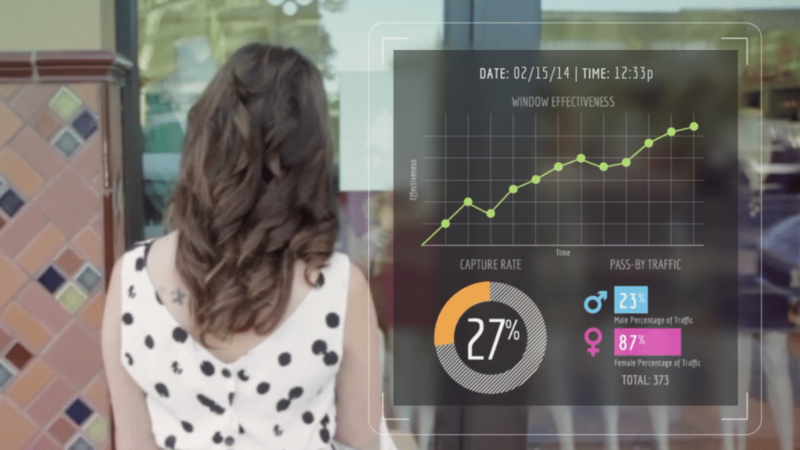 Retail analytics delivers the data behind every transaction and interaction that happens in your store. Metrics like sales per square foot, gross margin, foot traffic, walk-in rate, and comparable sales growth tell the story of your store and help you make profitable decisions. Retailers turn to point-of-sale (POS) systems to track 10 key analytics points that we explore below. Point of sale (POS) systems like Lightspeed POS have analytics built-in to every transaction you make. Sales automatically reduce inventory, purchases are tracked per-customer, profits calculate in real-time, and trend and comparison reports are available at the touch of a button. 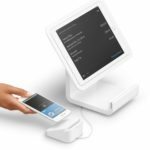 Click on the button below to test-drive Lightspeed POS for free. Now let’s explore 10 essential retail analytics that every shop owner should track, how to calculate them, and what they mean to your bottom line. The average amount of revenue earned per square foot of selling space. Take your total in-store sales— typically for a year— and divide this by your square footage of selling space. This excludes back areas like your stockroom, office, and employee lounge. Sales per square foot tracks how well you’re utilizing your retail space and/or displaying products to increase sales. Whether you’re comparing year-over-year, month-over-month, or comparing your rate to other stores in tracks your industry, this retail metric acts as a “score” for your visual merchandising. Most small retailers should aim for at least $500 in annual sales per square foot, however, this will vary widely depending on your industry. Generally speaking, stores that sell consumables, hardware and other essential goods will have lower sales per square foot, since their products are less valuable compared to the amount of space they take up. Boutiques and electronics stores will have the highest sales per square foot since their products are small and expensive. Total sales minus the cost of goods sold. Gross margin is usually expressed as a percentage and can be considered the average margin of your products. The first step is to take your total sales revenue in the time period (typically a year) and subtract the cost of goods sold (COGS), which is the wholesale or production/labor costs associated with your items. For example, if you sold $100,000 and the COGS was $80,000, this would yield $20,000. Now divide this by your total sales revenue to find your gross margin. For our example, this would be ($20,000 / $100,000) * 100 = 20%. Gross margin tells you how much you’re earning vs. how much you’re spending to acquire goods. This makes it an important retail analytic to monitor because it tells you how much you can afford to spend on additional operating costs, like payroll, rent, and marketing. It’s also used to calculate many other retail metrics we’ll be covering in this article. Your target gross margin will vary depending on your industry. Grocery stores tend to have the lowest margins (around 20%) whereas high-end retailers like jewelers can experience margins of 50% or higher. As we’ll explain next, you can increase your gross margin by stocking more high margin items in your store. Gross product profit margin calculated for an individual item or category of items. The formula is the same as gross margin. However, instead of using your total sales revenue and cost of goods sold, you’ll focus on a single item (or category of items). Most stores need a balance of high and low margin items. An electronics retailer, for example, might gross only 5-10% on their iMacs, but 40-50% on accessories like carrying bags and headphones. Despite the vast difference in price tags, both kinds of products are essential to their bottom line. Learning your gross profit margin by item is the first step to improve your profit strategy. First, make sure you have plenty of high margin items for sale, like accessories and consumables. Next, display these items in highly visible areas throughout your store, such as to right of the entranceway (the “powerwall”), and next to the checkout register. Net profit margin is like gross margin, however, it factors in all business costs including marketing and labor. The formula, again, is the same as gross margin. However, you will factor in your total business expenses including the cost of goods sold, as well as marketing, payroll, rent, utilities, transportation, etc. The importance of your net profit can never be understated. This is the number that tells you if you’ve earned a profit in a given month, or if you’re in the red. You can also think of this retail metric as the ultimate “fact checker.” By monitoring net profit and all of its components, you can constantly locate and test new strategies. For example, if your spend on marketing or payroll is relatively low, consider increasing these by starting new marketing campaigns or hiring more employees to expand sales. Then, watch your revenue and net profit statements to see how well they pay off. The number of pedestrians who pass by your store in a given time period. This can be measured as a raw count over the course of a day, or tallied by the hour with more specific demographic data; like the age ranges and genders of pedestrians. Foot traffic can be counted manually using a clicker, or automatically using web-based software. Specifically, Lightspeed’s integration with RetailNext “pings” all location-enabled mobile phones that pass your store, as shown below. Besides the convenience of automatic foot traffic reports (you can literally just log-in and generate a report vs. clicking a button all day) Lightspeed POS & RetailNext gives you a lot more detail than just raw numbers: You can view how many people pass by your store each day, track each shopper who walks in, and see what they do once inside. You can also view demographic reports, like the age range and gender of both shoppers and passers-by. Pedestrian foot traffic is one of the most important retail metrics for choosing a location. It’s key to budgeting how much rent is “worth” paying in a location. Not to mention, web-based foot traffic trackers’ demographic data helps you determine if a neighborhood is a good demographic fit for your business, and tweak your store to attract more passersby. Foot traffic reports are also used by established businesses to improve their marketing efforts. For example, you can learn where most passersby live (by zip code), then reach them with a direct mail campaign. Or, determine the busiest hours for foot traffic to plan a sidewalk promotion. These are just a few of many ways you can use rich foot traffic data to attract and engage customers. The percentage of pedestrians that enter your store. Take the number of visitors who entered your store in a given time period and divide this by the total number of pedestrians in the same period. For example, if your shop had 100 visitors on given day, and 2,000 passersby, your walk-in rate would be 5% (100/2000 = 0.05). To count the number of visitors, you can use infrared counters, security camera footage, or manually count with a clicker. However, a web-based solution like Lightspeed POS, which integrates with RetailNext, delivers far more shopper data than simple people counts. By comparing the walk-in rate over multiple days, you can test how effective different storefront displays or promotions are for attracting visitors. For example: Try measuring visitors and pedestrians on 3 separate days. For each day, set up a different storefront display, including different products, color schemes, and chalkboard messages/promotions. The results will tell you which display was most successful. Because it looks at the overall rate (vs just the raw number of visitors), it can account for differences due to weather, events, and other natural factors. The proportion of customers who are repeat visitors versus first-time buyers. If you wanted to find out your retention rate for 2017, you would take the total number of customers who purchased from you in 2017 and subtract the number of new customers. Then, divide this by the total number of customers from the previous year, and multiply by 100. The above example tells you the percentage of customers who visited your store in 2016 and then returned the following year. Ideally, you want this number to be as close to 100% as possible. For one, this implies customers had a positive shopping experience and were encouraged to return later on. Secondly, high retention rates are good for business. Since common wisdom holds that new customers are much costlier to acquire than existing customers, your marketing dollars will stretch much further the higher your retention rate. What’s considered a “good” retention rate will vary widely depending on your industry. Grocery stores aim for 90% retention since they depend immensely on customer loyalty. Restaurants have lower retention rates, with many top chains averaging 50-60% retention within 6 months, according to FiveStars. Meanwhile, gift shops and specialty stores could have retention rates as low as 20-40% and still find this successful. To increase customer retention, consider implementing a loyalty program, or coupon advertising to existing customers. A comparison of year-over-year sales. Find the total sales revenue for your most recent 12-month period (year 2) and subtract the total revenue from the year prior (year 1). This tells you the change in revenue over the past year. Now divide this by your total year 1 sales and multiply by 100 to find your growth rate. Note: If you have multiple locations, you’ll use a similar metric called same-store sales. Use the same formula above, but only tally-up revenue for stores that have been open at least 1 year at the start of the time period. Also, exclude any stores that closed down during the time period. Since retail is often seasonal, comparing annual revenue allows you to make apples-to-apples comparisons about the performance of your business. If you wanted to know how your business performed during the 2017 Holiday season, you could use the same formula above, but compare the 2-month period of Nov-Dec 2017 to Nov-Dec 2016. This will give you a more accurate picture than looking at Sept.-Oct. when there isn’t a significant holiday boost. The total amount a customer spends, on average, over the span of their relationship with your business. So, for example, if the average purchase value is $50 and the average number of visits is 2.5, this would mean $125 in revenue per customer. Multiplying this by your gross margin allows you to estimate how much of this you net. If your gross margin is 25%, this would mean net earnings of $31.25 per customer. The total lifetime value of a customer tells you how much it is worth spending to acquire a customer. For example, if an average customer earns you $31.25 over their lifetime, you may conclude it’s worth spending up to $10 to acquire that customer (via advertising, coupons and other promotional expenses). Figuring out how much it is worth spending (the acquisition cost) will require some additional calculations. You’ll need to factor in all operating costs into the gross margin, including payroll, rent, and utilities (essentially everything but marketing costs.) The resultant number will be the amount you can budget for marketing, per customer. The percentage of gross revenue that is spent on payroll. To calculate your payroll percentage, you’ll divide your actual payroll costs (including wages + FICA taxes + vacation days + employee benefits, etc.) by your total sales revenue during the time period— typically 1 year. Be sure to use your gross revenue, and not your net profit. Most retailers aim for a payroll percentage of 15-30%. This means that 15-30% of your overall revenue should be spent on employees. To determine what a good percentage is for your business, you first have to look at your gross margin (covered earlier in this article.) Your gross margin is total sales minus the cost of goods sold. In other words, if a TV sold for $1000, but cost you $900, the gross margin would be $100. Businesses with low margins have to spend less on payroll, relatively speaking, than their high margin counterparts. For example, if a grocery store has a gross margin of 25%, and a payroll percentage of 15%, that leaves only 10% for all additional business expenses + profit. On the other hand, a jewelry store with a 50% margin could spend a lot more on payroll. Their payroll percentage could be 40% and they’d have the same amount left over (10%) for additional business expenses + profit. This is why high margin retailers like The Apple Store can spend so much on customer service. While retail analytics can give you many powerful insights about your business, they’re only useful when measured correctly and consulted frequently. If you aren’t keeping track of your customer walk-in rate and sales per square foot regularly, for example, you won’t be able to test and improve them. The best solution is to use software that makes retail analytics easy. POS software like Lightspeed POS makes these reports readily available, and you can add integrated tools like RetailNext to track foot traffic and in-store customer behavior data in rich demographic detail. Planning your staffing needs depends very much on your sales volume and the level of customer service your customers require. It’s best to look at your historial sales data hour by hour if you can. That lets you know what your peek staffing needs are. You’ll also need to be aware of weekday trends, such as whether Saturdays are busier than Mondays, as well as how weather affects your business. For example, in some retail stores, like clothing, the foot traffic plummets in bad weather. You might also ask your current staff about any times when they feel overstaffed (standing around bored) or understaffed (unable to assist customers who end up leaving or angry). Your existing employees are a good source of information. Additional considerations are: how much stocking your staff members need to do and when they need to do it. For example, if your delivery truck comes in on Thursday afternoon and it takes 3 hours to unload, you’ll need to staff for that. Your question suggests that a scheduling tool might be a great option for you. It can provide week over week data that will help you determine not only your staffing needs but your labor costs. We provide a few articles that may help.